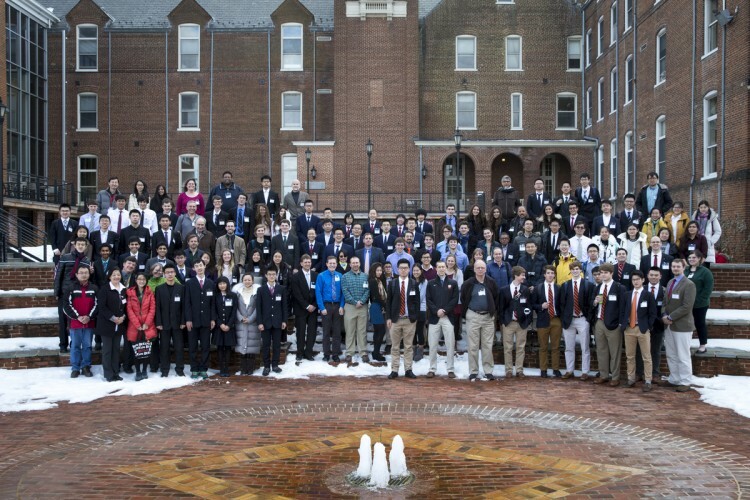 Nearly 100 of the brightest high school physics students from across the world brought their A-game to Randolph College this weekend for the United States Invitational for Young Physicists Tournament (USIYPT). Eleven schools competed in the annual tournament, which is sponsored by the United States Association for Young Physicists (USAYPT). 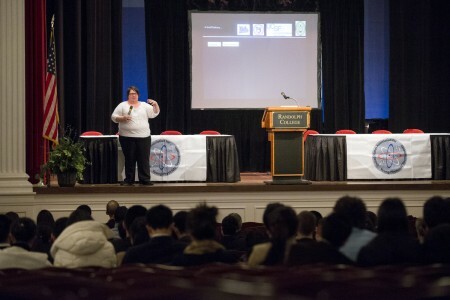 Teams debated answers to open-ended physics questions which were judged by a panel of six jurors. The highest scoring teams advanced to playoff rounds on Saturday, and ultimately Shenzhen Middle School of China earned the top score and won first-place. Randolph physics professor Peter Sheldon is a member of the USAYPT Board and organized the 2016 tournament, helping Randolph become the first higher education institution to host the event. As part of the College’s hosting role, Randolph professors served as judges for tournament events and talked with students about their work. USIYPT also allowed prospective students to learn more about the College. 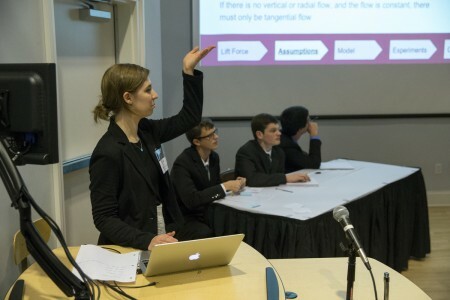 Randolph physics professor Katrin Schenk delivered the Keynote address, Mobile Monitoring, in which she shared research by her and her students about ultrasonic vocalization and monitoring devices for Alzheimer’s patients. In addition, Randolph’s Gold Key Guides offered campus tours. Jacobs added that the annual competition is as much about forming friendships as it is about achieving glory. “This is a tournament in which the teams discuss physics with each other and are competitors, but afterward go out to dinner and make friends for life,” he said.